The European risk committee of European Chemicals Agency (ECHA) has proposed that Titanium Dioxide (TiO2) be classified as a class 2 carcinogen. Although it is still in the proposal stage, this potential classification will have a significant impact on worldwide cosmetic ingredient regulation. What is TiO2 & How is TiO2 used in cosmetics? Titanium dioxide is a naturally occurring mineral that is mined from the earth then further processed and purified for use in consumer products. Also known as titanium (IV) oxide or titania, it is the naturally occurring compound comprised of the metal titanium and oxygen. Titanium dioxide is safely used in many products from paint and food to drugs and cosmetics. TiO2 is used in a variety of cosmetics including sunscreens, pressed powder, loose powders, eye shadows and blush as UV filter or whitening agent. When used as Whitening agent, TiO2 helps to increase the opaqueness and reduce the transparency of product formulas; when used as UV filter, TiO2 is an important active ingredient to absorb, reflect or scatter light (including ultraviolet radiation from the sun). TiO2 is processed into many different sizes, which have different properties. Micronized TiO2 (also called “nano”) was introduced in the early 1990s, and used in many OTC sunscreen products. Use of this ultrafine material enables the sunscreens to be applied as a clear film that consumers prefer over the antiquated, white opaque lotions. 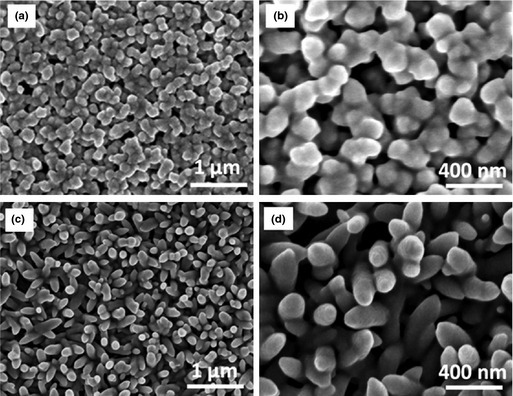 SEM images of surfaces of (a, b) titanium dioxide and (c, d) tungsten oxide coatings on brass.